When you're a grandparent, you spend a LOT of time in toy stores. Sometimes, when I'm babysitting and it's not a "park" day, it's a toy store day-- our afternoon outing. I always try and buy a little something to not be rude since Moussia and Yosef tear up the store out of sheer joy. Being obsessed with interior design, I'm always looking at how to incorporate things into room decor and a toy store is no exception. 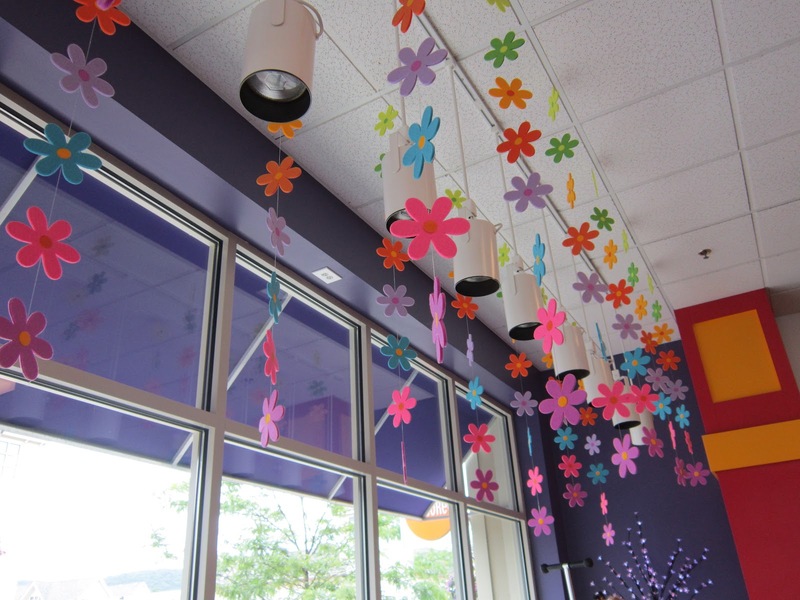 Take these foam flowers--how cute would they look in a girl's bedroom? 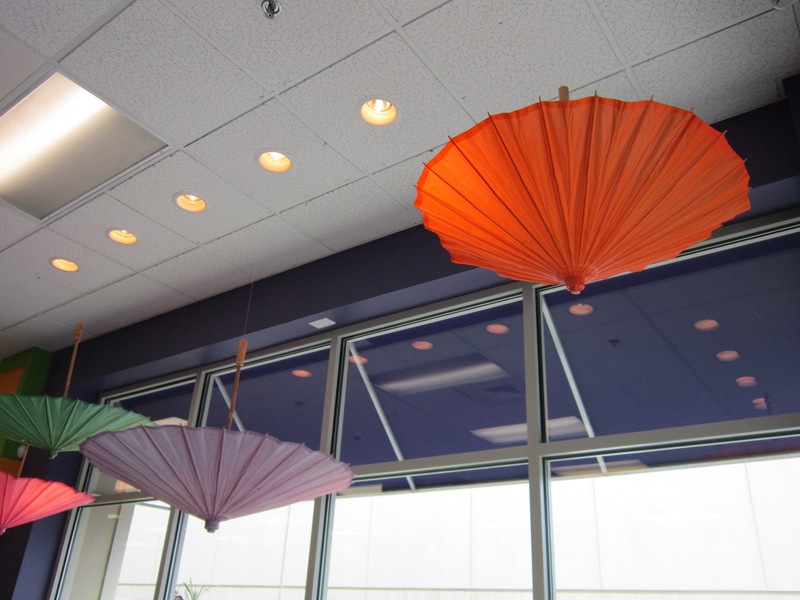 You could use them to cover an unattractive light fixture in any room of the house. 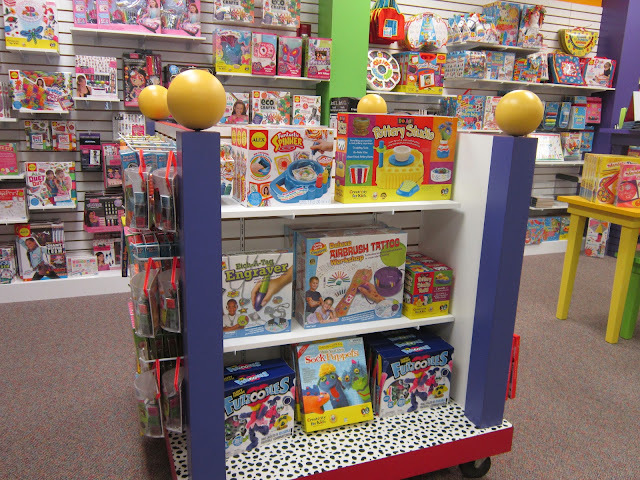 This display could be a great inspiration for a children's play room. 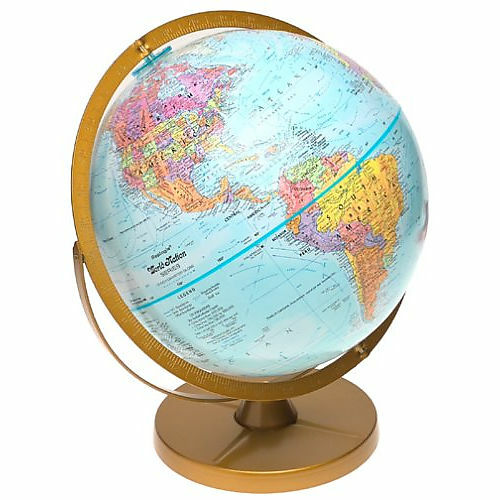 It would be easy to find some wood balls, paint them and attach to the top of a bookcase or bed. 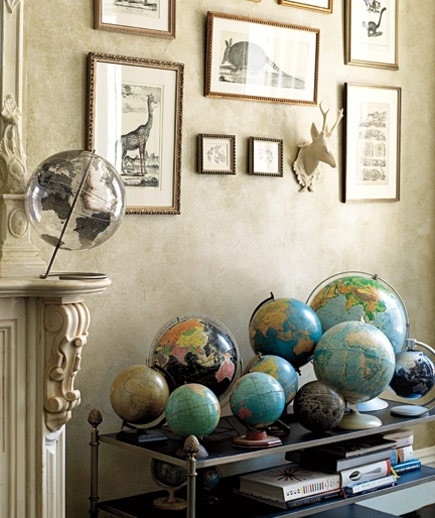 A favorite of many designers are globes. Like this photo I found on Pinterest. 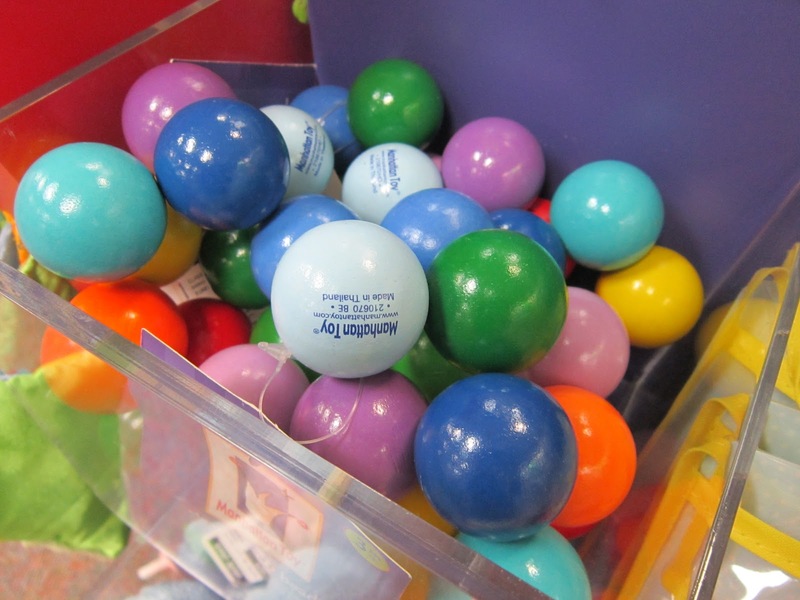 How about these gorgeous wood balls made for babies by Manhattan Toy? 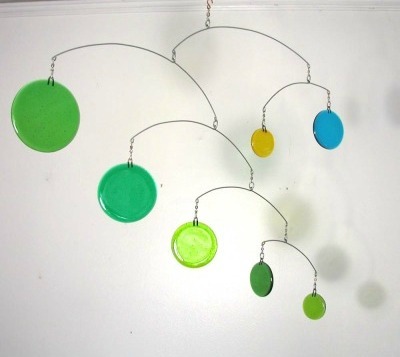 I would totally have these sitting on a bookshelf for display or in a bowl on my coffee table! 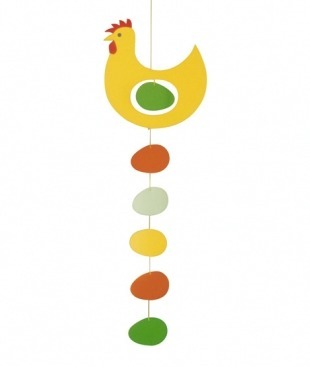 And, these paper mobiles from Djeco Toys are so beautiful, it's a shame to only use them for the kids! That looks like a lovely toy store. I just came back from Walmart where I bought a bundle of stickers for my grandkids. They live in Israel, and I write them letters with stickers enclosed. Enjoy having your grandkids close by! Mine love stickers, too...Yes, I love being an hour away from them! Thanks for your note. Looks so fun! Thanks for sharing. New GFC follower from Someday crafts. Love for you to link up. Hosting a fb hop now. Love for you to link up your page. Last I checked we were at 91 pages!!! !